Join VRLTA for the Day on the Hill! The Virginia Restaurant, Lodging & Travel Association’s (VRLTA) 2019 Day on the Hill will kick-off with the Taste of VRLTA Legislative Reception on Jan. 23 (6:30-9:00pm) at the historic John Marshall Ballrooms in downtown Richmond. On Jan. 24, VRLTA members and industry members will “Storm the Hill,” beginning with a light breakfast and legislative briefing at The Commonwealth Hotel. After office visits with key members of Virginia’s General Assembly, there will be a lunch and recap of the morning at Capital Ale House on Main Street at 12:15 p.m. The VA-1 Tourism Summit was a resounding success, attracting 484 tourism industry partners from around the Commonwealth. According to VTC’s follow-up survey, participants rated their experience at the Summit highly (4.1 out of 5.00). The highest-rated speaker, actor Ian Kahn of AMC’s Turn: Washington’s Spies, gave a heartfelt talk about the significance of film and tourism in local economies and how much he loved working in Virginia. Among the top-rated general sessions, the importance of digital, creative marketing by the High Road Agency’s Matt Bolas and George Zimmerman’s speech about the “halo effect” of tourism, or the strong connection between a destination’s image and economic development, were most memorable. Next year’s event will be held in Arlington. We look forward to seeing you there! Visit vatc.org/50yearsoflove to learn all about the campaign and the 50 YEARS OF LOVE grant that is open until Jan. 15. Applications are due back no later than Feb. 19, 2019 by 5:00 PM. The Commission was created by the General Assembly to plan, develop, and carry out programs and activities to commemorate the 100th anniversary of World War I and the 75th anniversary of World War II. The purpose of the program is to assist communities and related sites to market commemorative events, locations, and destinations. As a resource for industry partners, VTC has launched a new Tourism Zone webpage. Please visit Vatc.org/tourismzones to learn more about Tourism Zones in Virginia. Please email Joni Johnson your profile sheet and new suggested tour itineraries to include in her sales appointment notebook. •	Leads from National Tour Association Travel Exchange, Nov. 4-7 in Milwaukee, are now available! 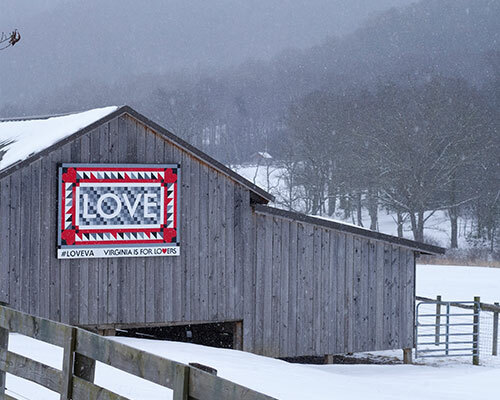 2019 enrollment for the Partnership Marketing and Advertising Program at the Virginia Welcome Centers and Safety Rest Areas is now open. Visit our website, www.welcomeva.com, and register today. FREE Opportunity to Reach the Canadian Market! The application period will be open from December 10, 2018 to February 1, 2019. For more details regarding the scholarship program, please see the press release that is available on our website. Applications will again be collected through the online application form on our website. Shiver in the River is Keep Virginia Beautiful’s largest event and is the coolest winter festival in Virginia! Participants can help with the community clean up, do the 5K walk/run, or jump in the James River — or do all three! This inspiring day is surrounded by a unique festival complete with fun activities for all ages, music and food and beverages! Groups of all kinds are invited to participate as teams or individuals, and challenge others to be a part of the litter solution in Virginia. The 6th Annual Virginia Green Travel Conference & Travel Star Awards will be April 24-25, 2019 at the awesome new Hotel Madison & Conference Center in Harrisonburg! The conference website is open and early bird rates are now available. Please plan to join us for two days of learning, great speakers, networking and fun!